I have a fellow Accent Press author visiting me today. I’m delighted to welcome, Tom Williams to talk about his latest novel, His Majesty’s Confidential Agent. 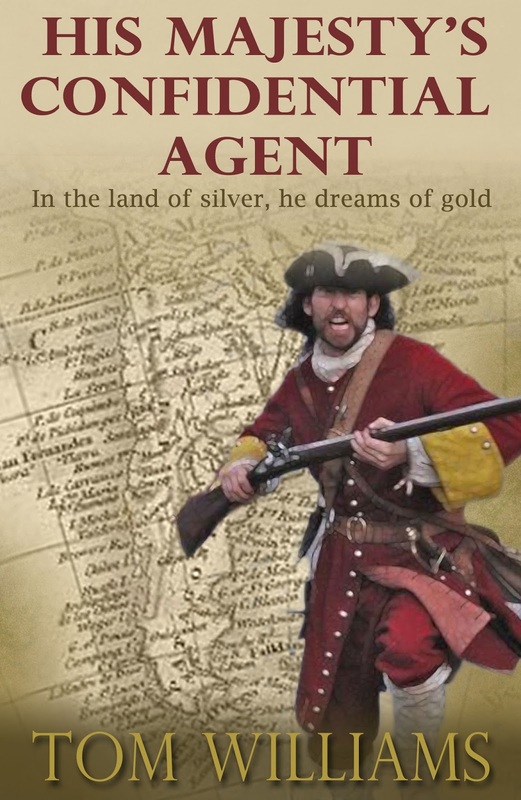 My agent, back in the days when I had an agent, told me that historical novels were clearly my thing and that I should sit down and produce something new in that genre. This turned out to be easier said than done. I was chatting to a friend that I knew from time spent in Argentina and she pointed out that there were lots of interesting characters from the early days of that country. I have loved my visits to Argentina and the idea of setting a novel there really appealed. So I started a fairly unsystematic search for interesting characters from 19th century Buenos Aires. And I came across James Burke. I could only find one article about him that was written in English (and my Spanish is certainly not up to reading academic historical journals). It turned out that somebody had stolen the British Library’s copy but they were able to dig out another in their reserve collection up in Yorkshire. When I finally managed to get my hands on it, James Burke turned out to be the ideal character for historical fiction. He was a real person and a real spy. His nefarious work meant that there aren’t an awful lot of details about his life but we do have good reason to think that he was in Buenos Aires while the British were planning to invade South America during the Napoleonic Wars. He was also (a massive bonus for the novelist) something of a ladies’ man. In the novel his conquests include a princess, a queen, and the mistress of a ruler I’m not going to mention here, because it would be a spoiler. The incredible thing is that these affairs all quite probably happened. Once I started writing, I really enjoyed His Majesty’s Confidential Agent. The details of Burke’s life may be a bit uncertain, but the context within which his adventures take place is very clear indeed. I have made several trips to Buenos Aires and on some of them I was able to make a point of visiting buildings from the period when the story is set. 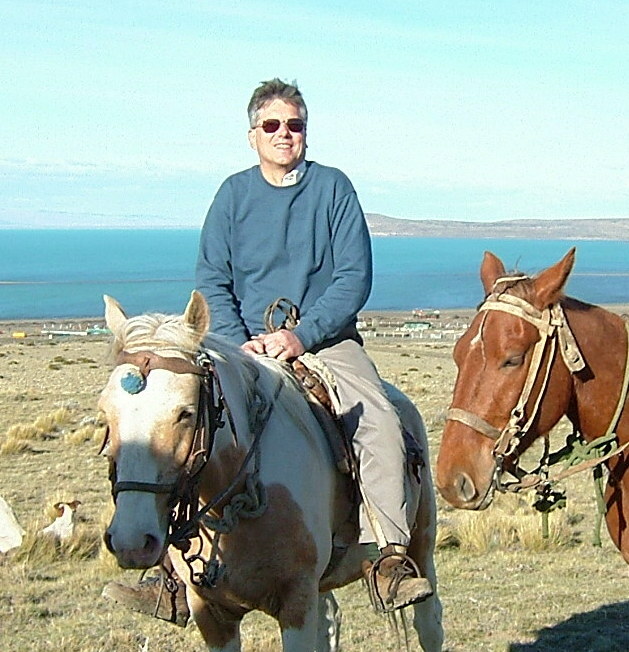 Burke’s adventures take him out of the town and into the country, so I spent a day on an estancia, where I was able to go out riding with the gauchos – a truly memorable adventure. I even recreated Burke’s crossing the Andes by making the attempt out of season, as he does in the novel and, even though we had to turn back because the depth of snow, it was an unforgettable experience. It’s only around a page of the finished book, but very definitely worth it. His Majesty’s Confidential Agent allowed me to write about a country I love during a fascinating period of history. And it’s got spies and battles and duels and beautiful women and real queens and princesses and moments of humour and romance in between the plotting and bloodshed. It was fun to write. I hope you find it fun to read. In this excerpt we meet two of Burke’s fictional associates: William, a fellow soldier who appears as his servant, and Molly, who has helped Burke out before and is to help him out again. Molly counted the pesos carefully. She still thought of them as ‘pieces of eight’. It hardly seemed real money – not like the golden guinea she’d earned on the Rochester. She had to smile when she remembered that. It had almost been like a game, for all there’d been killing involved. But Mr Burke’s man, William, had explained she was doing it for the king, so she’d really been doing a good deed as well as making a guinea. And she’d found she enjoyed the pretending. After all, most of what she did for a living was pretending. The moaning and the screaming and ‘You’re the best,’ and ‘I always feel happy when you call.’ But never happy enough to forget to take the money. She wrapped the coins in an old stocking and returned them to their hiding place under the floorboard. There was a prodigious amount of silver in the stocking. The voyage had been a long one but coming to a country where men so outnumbered women had undoubtedly been a good move. There was a sudden knocking from the door on the street below. She heard her landlord answer. She paid him well – in cash and kind – as her protector and he took his duties seriously. Molly opened the door an inch or so and peered through the gap at the mirror strategically placed at the top of the stairs, affording her a view of anyone waiting below. To her surprise, she saw William. Well, she thought, he’d seemed too self-contained, somehow, to be calling on her but it took all sorts … And he was a good looking enough young man. She judged him to be still in his twenties, though he carried himself with an air that made him seem much older. She had just time to run her fingers through her curls and arrange herself on the bed when William entered the room. He took one look at her and the bed and the shutters closed against the daylight and he hurried to disabuse her of any expectations she might have. As he explained what he wanted her to do, she found her heart beating with the thrill of it. Another chance to serve her king, playing a part to fool some foreigners. And this time with real excitement, almost like a Drury Lane play. And another guinea for her trouble. As William explained the details of her role, she found herself admiring his broad chest, his well-shaped calf in his tight breeches. He had a lovely voice, too. She realised that he was waiting for her to say something and tried to concentrate on what he had been asking. Molly allowed her eyes to run over that chest again. Those calves. And his hands. They looked like strong hands. Molly knew the value of what she sold her customers. And she knew the importance of never allowing herself to give away what should be paid for. She patted the bed beside her. ‘That’s unkind, William,’ she said, pouting. So he stood and she sat on the bed and looked up at him and thought, ‘This is ridiculous,’ and yet, in her line of business, what else could she do? And so, at last, she said, ‘I’ll do it,’ and William thanked her gravely and said she was a brave girl and left. She waited in silence until she heard the front door close behind him. She lay back on the bed. We did have a ferret, which I thought would be an appropriately writer sort of thing to have around but he recently got even older than me (in ferret years) and died. I’d try to say something snappy and amusing about that but we loved that ferret and snappy and amusing doesn’t quite cut it. If you all buy my book, I’ll be able to finish the next ones and I’ll never have to work for the insurance industry again and that will be a good thing, yes? So you’ll not only get to read a brilliant novel but your karmic balance will move rapidly into credit. Many thanks Tom- we’ll let you run away and hide now!! I have wanted to go to Argentina for many a day and I never knew this history re The Napoleonic Wars. This book looks great fun. When I get time I shall read it. So Flashman is reincarnated is he. No, much, much better, Tom. A lovely post. Carol. I thoroughly enjoyed Tom’s post. The background to his book – and I hope it’s a series – is fascinating. With that wonderful self-deprecating sense of humour and the ability to dance a mean tango he’s definitely babe magnet material. This has absolutely nothing to do with age.